As part of my coverage of electric vehicles, I frequent car dealerships. I frequent car dealerships like most people frequent their local coffee shop. The dealership experience is a regular topic of discussion, as dealerships in many parts of the world are the gateway to new vehicles. They control the price, the availability, the timing, the experience, and the initial training on the vehicle, and can really make or break the experience of getting into a new car. 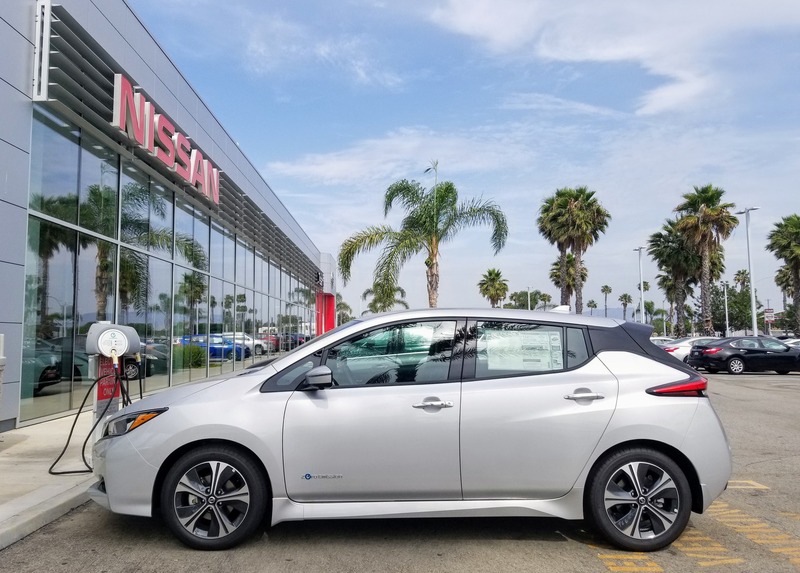 Being the newcomers to the automotive space, electric and plug-in vehicles traditionally don’t get the love they deserve at the dealership, regardless of how much effort the manufacturer put into actually building and marketing the vehicle to consumers. As an insider, I typically tread an awkward line asking questions about the vehicle that I feel are relevant to the average consumer (range, battery size, base price, availability, competition, charging, etc. ), and then make an assessment of the dealership and/or salesperson accordingly. By and large, the results to date have not been favorable for the dealerships, and as a function of their partnership with said dealerships, the manufacturers who have elected to sell their vehicles though dealerships. Admittedly, Tesla has disrupted this space and has ruined me for the average dealership. I’m not the customer they’re hoping for. Probably the opposite, in fact. Having said all of that, I spent some time today in the new 2018 Nissan LEAF and it was especially disturbing. The salesman started off by sharing that the new Nissan LEAF was the top selling electric car in the world. Globally speaking, China represents just over 50% of all new car sales in May and is home to the top selling electric vehicle in the world — the BAIC EC-Series, which sold 12,624 units in a single month. The Tesla Model 3 could take the top spot in the coming months if it can maintain its production rate of 5,000 vehicles per week, which would amount to just over 20,000 units per month. The salesman started off our ride with a comment about how he is expecting Nissan to add a third electric car to its stable — complementing the LEAF and the under-celebrated eNV200 — sometime around 2020. That’s not worth taking to the bank, but interesting how flippant comments come out in an attempt to bolster the perception of knowledge of the brand. Being new to Nissan’s ProPilot, I was genuinely interested in it and asked clarifying questions. My salesman showed me the buttons to push but quickly dismissed the technology, stating that he didn’t trust AI and that meant something because he studied electrical engineering. When the discussion veered towards fully autonomous cars, however, he was supportive, as he saw potential for it to help those who couldn’t drive or who were inebriated to get where they needed to go. I muddled my way through the process and had the solution working on the freeway while keeping the salesman’s conversation at bay. It was an underwhelming experience, although I do believe the solution is comparable to early versions of Tesla’s Autopilot, with the potential to grow further. It allows the driver to set a cruising speed and dynamically adjusts the speed based on traffic, which is what Tesla’s TACC — or Traffic Adaptive Cruise Control — does. Turning on the steering wheel functions asks the car to start reading the lines in the road, which was inconsistent in the ~4 miles of freeway driving I put on it. That’s admittedly inconclusive, but it did appear to have a few sections where it was working fine and a few where it either skipped out or couldn’t detect the lines. Similar to Tesla’s Autopilot, Nissan’s ProPilot requires the driver to keep a hand on the steering wheel while it is engaged. This presumably helps the driver to keep an eye on the road and pay some small measure of attention to what’s happening whilst the system is engaged. Getting to the heart of the matter, dealerships make their money on service. This is not new and it is not going to change unless something changes. With that fundamental disincentive to sell vehicles that inherently require less service and a learning curve that can easily be used as an excuse for lagging sales, traditional automobile dealerships are simply not going to move plug-in vehicles unless something changes. Change can come through a passionate, mission-oriented dealer. We have seen this at Borgeois Chevrolet in Quebec, which embraced electric vehicles, resulting in soaring Volt sales, but this is unfortunately rare. Group buys are commonplace in the online electric car advocacy movement, but they ultimately serve to take the work out of the hands of the dealer, rewarding them for doing what amounts to volume sales for not a lot of work. Passionate activists have also resorted to starting up Electric Vehicle “Experience Centers” like the ones we recently featured in Columbus and in Milton Keynes in the UK. These centers essentially replicate the Tesla vehicle buying experience, but for a handful of plug-in vehicles from various manufacturers. They represent the ultimate realization that the traditional automotive dealership model has failed and will likely not survive the transition to electric vehicles. Even Electric founder Gisli Gislason takes this model to the next level with his electric vehicle showrooms that push a number of makes of electric vehicles from a single showroom. The concept makes sense, as it takes all the benefits of the EV Experience Center and allows buyers to close the deal right then and there. 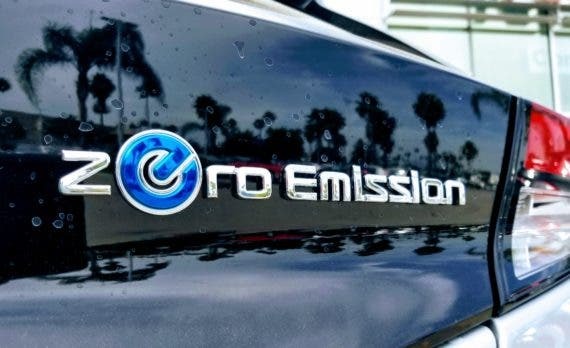 Again, it is another manifestation of the simple reality that traditional dealerships are not financially incentivized over the long term or the short term to sell electric vehicles. Finally, dealerships en masse can evolve. It’s not likely and we have seen very little evidence, if any, to support this supposition, but it is possible. Maybe you hate how much we refer to Tesla as the beacon of hope for electric cars, but the truth of the matter is that Tesla has a far better model for selling electric cars than any other manufacturer we’ve seen at the in-person sales experience. This may seem like a harsh criticism of a single salesperson at a single dealership, but the truth is, this is just the latest chapter in a long series of misinformed, under-educated sales experiences from a number of automotive manufacturers. The sickening part is just how consistent they are at being terrible salespeople of electric vehicles. It’s almost as if they don’t want to sell them. Ultimately, buyers will find a way to buy the cars they want to buy, assuming they can afford them. The unfortunate reality is that the very dealerships that were put in place to protect consumers are now just getting in the way of a transaction wherein most consumers simply want to configure a vehicle online and have it show up at their house for the agreed upon price. Until we get to that point, dealerships just add fluff to the equation. The time is approaching when manufacturers will have to choose whether they want to trim the fat and stay competitive — or not.